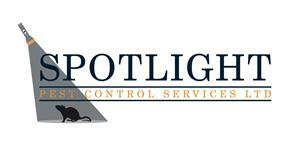 Spotlight Pest Control Services Ltd - Pest/Vermin Control based in Hythe, Kent. We are predominately a professional pest control company, who also specialise in Guano clearance and environmental cleaning, offering a fast and reliable service. General Bird Proofing, including Netting, Pin & Wire Systems and Spikes. At Spotlight, we provide a professional integrated pest management service by collecting all available evidence and information to deliver an efficient solution to your pest problem.